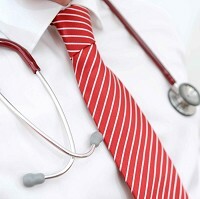 Health bosses are calling on GPs to fast-track cancer testing, in a bid to save thousands of lives. The National Institute for Health and Care Excellence (Nice) has published new guidelines encouraging doctors to adopt a "symptoms-based approach" when people come to see them with a problem. This involves matching a symptom such as stomach pain to possible cancers and booking the individual in for a cancer test right away, rather than speculating and referring them to a specialist first. Around 300,000 people in the UK are diagnosed with cancer every year. But the sooner the disease is spotted, the better a person's chances of survival, so Nice is urging all GPs to follow the new approach. Late diagnoses are estimated to be responsible for 10,000 cancer deaths a year. The new guidelines focus on signs and symptoms, as opposed to a diagnosis of a particular type of cancer, meaning more patients could be offered faster testing to spot cancer at an early and curable stage. Professor Mark Baker, clinical practice director at Nice, believes the fresh approach will provide a universal and comprehensive way of getting the right patients to the right investigations at the right time. It is hoped it will lead to improved outcomes for patients, giving them more time to enjoy the finer things in life, like going on holiday with family and friends. Cancer travel insurance can also make this possible. The guidance aims to save around 5,000 lives a year through early testing. Patients are also being encouraged to tell their family doctor if they have cancer symptoms. The sudden appearance of a lump, blood in urine and changes in bowel habits are some signs of cancer. Prof Baker claims the guidelines will make it a lot easier for GPs to know how to deal with patients whose symptoms may often be vague, and for whom cancer may not be the most obvious diagnosis. He adds these are the kind of people who need to get into the diagnosis pathway as quickly as possible. Cancer Research UK echoes the same sentiment but says more diagnostic resources must be made available.